Live four days in the Middle Ages. Shows, games of yesteryear and wine cellars open for the highlight of the summer in Albenga. 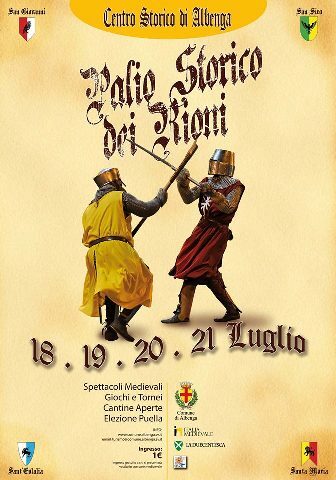 Historic Palio dei Rioni, 2013, the historic center of Albenga 18 to 21 July 2013. The Italian Riviera is one of my favorite places on earth, and for good reason. Not only for the music festivals, the long and languid beaches, and zipping around on my Vespa, but I am always mesmerized by the swaying palms and salty ocean breezes that cool my weary mind from a full day of sightseeing, chatting with the locals, and keeping my writings up do date. So what’s a lady on a travel assignment to do? She turns her hot little pink Vespa toward Albenga! 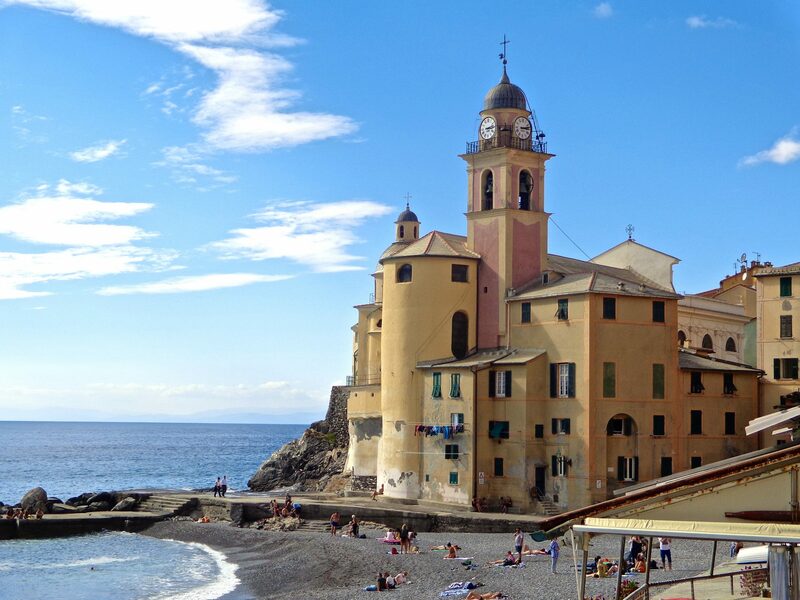 Albenga, a town of pre-Roman origin up the lovely Ligurian coastline from San Remo, is a lively town full of team spirit. With eighteen towers-originally there were fifty- surrounding town walls, it features a definite medieval ambience. Dancers, jugglers, knights and ladies in costume will lure you in if you happen upon this idyllic Riviera town from July 18th to the 21st. It even gets better–between the ancient alleys you will find the most splendid food and wine taverns and inns that offer the most exquisite medieval specialties served from locals dressed in complete authentic time period dress. The Palio is a rivalry between the four districts within the commune of Albenga. It is interesting to note the names of the districts. They are St. Eulalia, Santa Maria, San Giovanni and San Siro. Not only are the people committed to their contrada, they are fierce in competition with good nature, of course. More than fifty wineries open, scattered around the four districts for tastings. You will be entertained by everything under the sun; fire-eaters, jugglers, musicians, duels, falconers, and tests of skill in which the districts partake in slingshot, archery, shooting with the rope and ‘Game of the medieval family.’ And of course, a beauty pageant to elect the most beautiful lady of the Palio. Take a look at the following video to experience the ambience of the Palio dei Rioni. I could not have taken a better video. Press conference for the presentation of the event. • Eater jesters and traveling. • Duels with weapons in various wards. • Music Performance and juggling in the streets.